From now through December 31st, we have a ton of fantastic artisans offering handmade and eco-friendly gifts in the Mistletoe Market at Community Forklift. 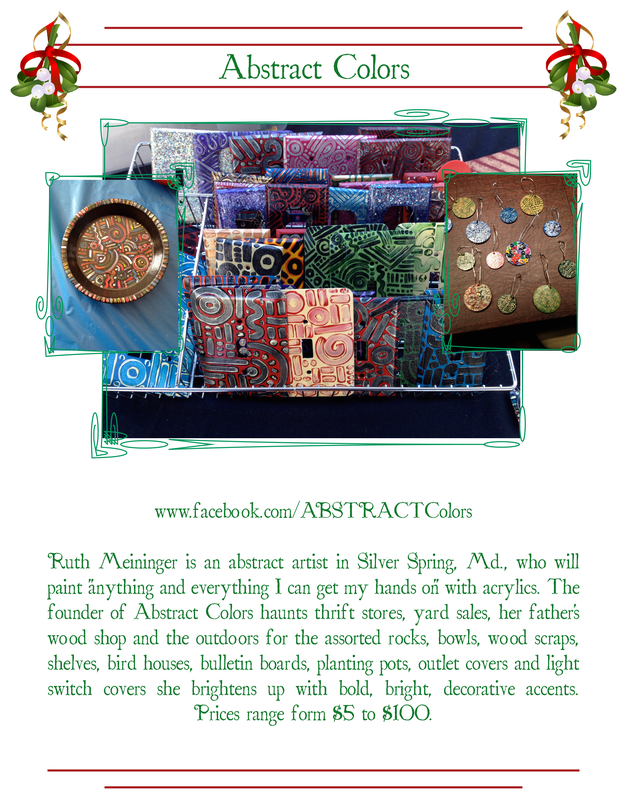 Today, we are featuring Ruth Meininger, an abstract artist from Silver Spring! 40% off storewide this weekend, plus 3 great DIY workshops! Unfortunately, the railroad crossing on Tanglewood Drive will be closed at various points this weekend. So if you’re coming from the west, you may have to take a short 5-minute detour through the lovely little town of Edmonston (click here for directions). But don’t worry! We’re going to make it worth your while. We’re having a Road Closure Sale! On Saturday, Sunday, and Monday (Oct. 18 – 20), take 40% off modern AND vintage items storewide!!! This includes blue and orange tag merchandise, so you can save on everything from antique mantels, mosaic tile, and clawfoot tubs to plain ol’ nails, paint, or carpet squares (Sale does not include select specialty items, items with missing or damaged price tags, or items from our consignment partners). This weekend, we have THREE workshops in our brand-new classroom! Learn how to safely work with products that have or appear to have lead paint on them. Upon completion of this workshop with remodeling expert Mark Wardlaw, you’ll be able to remove & dispose of lead material or encapsulate it for safe handling or display with confidence. In this workshop, you’ll learn how to find interior wall framing from your outlets and door & window locations to safely hang pictures and other wall items. Get hands on experience installing different types of wall anchors from toggle bolts to plastic inserts. This Sunday, Bahia Akerele, an Annie Sloan stockist and retailer, will do live demonstrations of transforming pieces one can find at Community Forklift without sanding or stripping or priming the piece. Bahia Akerele is the owner of On the Purple Couch, LLC located in Kensington’s antique district right outside DC off of Connecticut Ave. 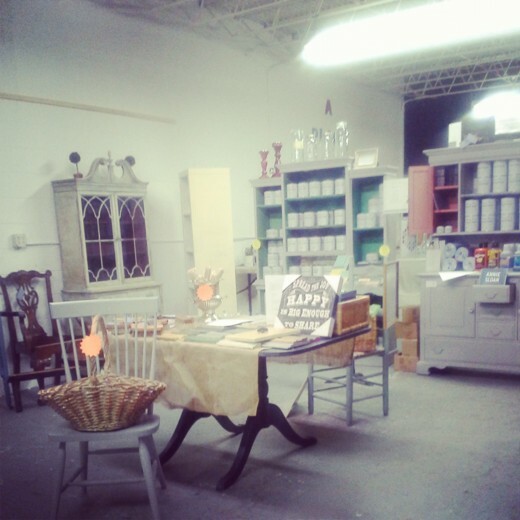 In 2012 Bahia opened On the Purple Couch and became the exclusive retailer for Annie Sloan in Silver Spring, Kensington and parts of Montgomery county. Since then Bahia has taught over 200 people in the DMV, in a variety of classes and workshops, how to re-purpose and reuse what they have collected through upcycling and more. On the Purple Couch, A Place to Create is located minutes outside of DC in Kensington MD at 4228 Howard Ave. Kensington MD www.onthepurplecouch.com. Don’t Miss Our Free Workshops this week: repairing old floors, working with lead paint, hanging items with confidence, and using Annie Sloan chalk paint! Have an old crack in the floor but not sure how to fix it? 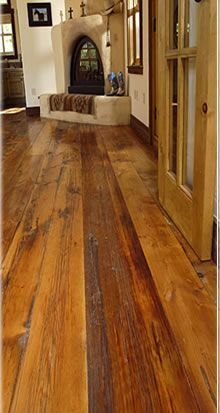 Through a question and answer session, James Mazzaferro, designer-builder-craftsman, will guide you through the process of performing surgery on your floor, including reinforcements, replacing boards, dutchmen (also known as bow ties), and matching original floor color. “Messing with your floors can be very scary, so I aim to alleviate some of that fear and prepare you for a course of action.”, says Mazzaferro. This weekend, we have THREE workshops! If you’ve checked out our Midweek Flash Sales, then you know that mantels, pedestal sinks and lighting are 40% off today and tomorrow. 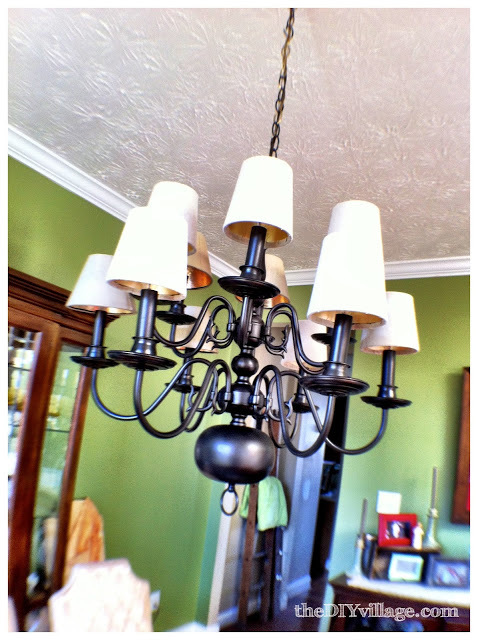 Here’s a great idea we came across for what to do with those dated old brass-colored chandeliers (from the website TheDiyVillage.com). 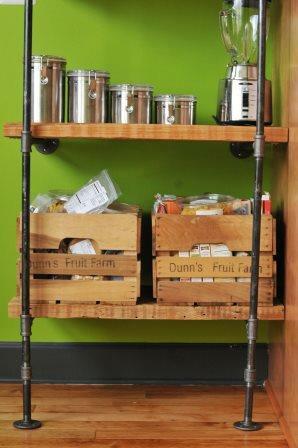 Repurposing 101 – Free Workshop this Saturday at 2pm! Do you have a project in mind but don’t know where to start? 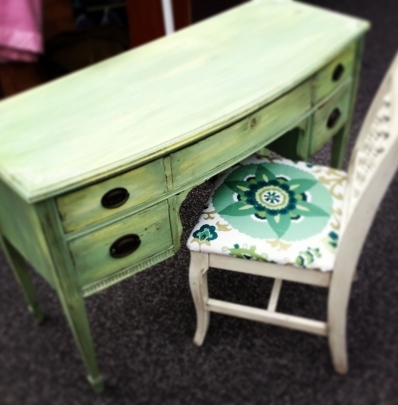 Come learn the basics of re-purposing with a class built just for beginners. In this customized workshop Ryan will work with attendees who have projects in mind, but don’t know where to start. We will be rethinking about salvaged materials and how they are used, looking at materials differently in order to help start or finish home projects and inspire others to do the same! 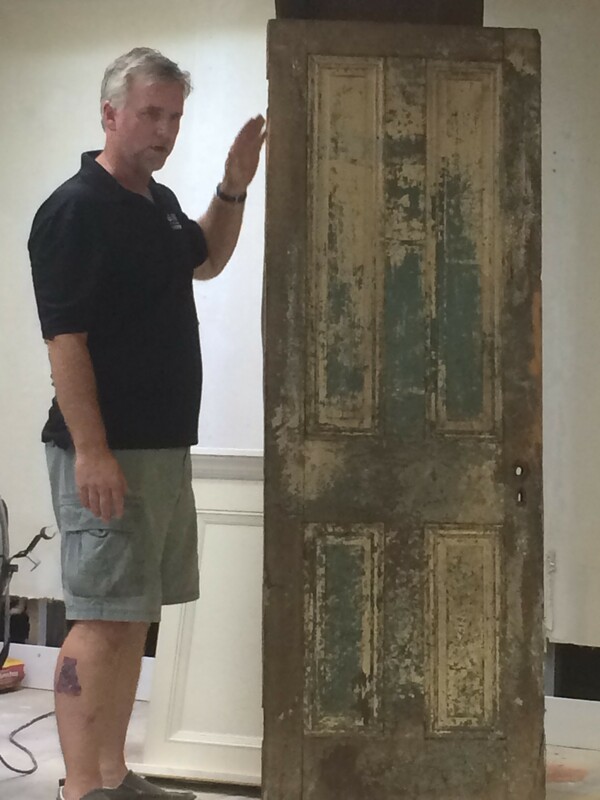 with Bergamin Fortunati from Southern Cross Co.
Have an old piece of furniture you want to restore but don’t know how to get started? Bring it in to Community Forklift during this interactive, hands-on workshop. Bergamin Fortunati will show you how to repair and restore old furniture, without great costs. 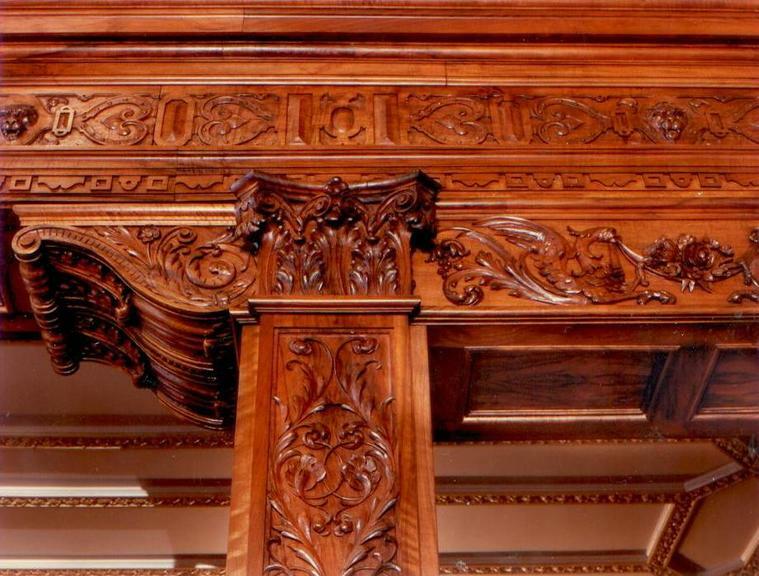 Bergamin will guide you through decisions on what kind of finish to use, how to decide whether to strip the wood, replacing broken parts or removing water stains and marks. Trim, knobs, handles and other useful materials are available here at Community Forklift. Bring your questions and let’s get started! At Shabadaba Chic, we are all about Reducing, Reusing and Recycling! There are many varieties of chalk style paints available today which make it easy for painting novices to tackle their own furniture facelifts, but the price tag can be daunting. 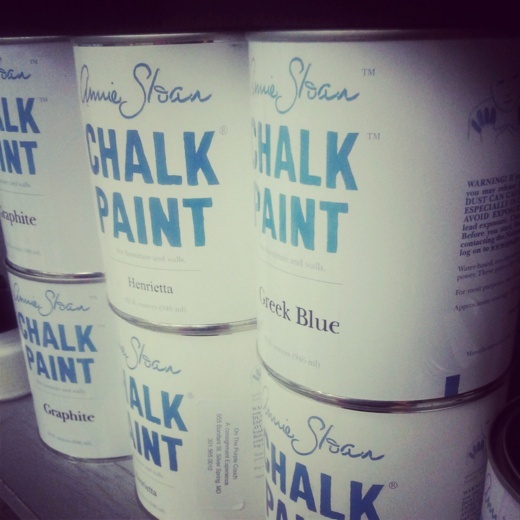 The beauty of chalk based paint is its ability to adhere to almost any surface and to create customized weathered looks. We will show you how to take any latex paint you find, either in your own basement or on the shelves at Community Forklift and mix up your own chalk based paint. We’ll show you how to measure it, mix it, paint it, layer it and weather it too. 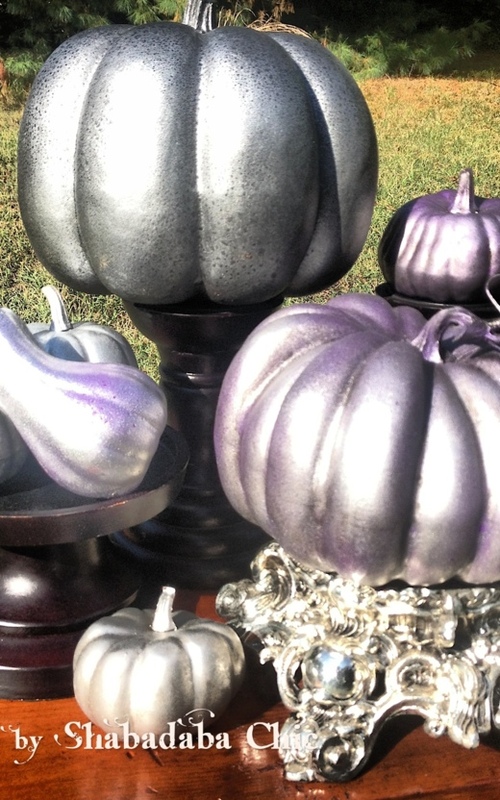 Bring some paint and a small furniture item such as a stool, side table, chair, or any other metal or wood item that you would like to transform. 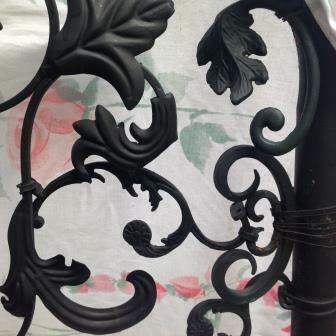 Learn to make a garden gate out of scrap decorative metal, sconces, lamps, wall grilles, etc. 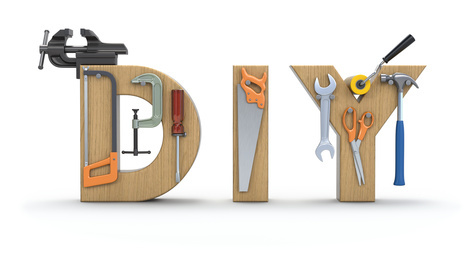 All you need is a gate frame, pliers, dremel, paint and slip ties! It helps to have pairs of items to make a symmetrical pattern. Barbara Turner upcycles jewelry and sells it online. She is also adept at gardening, mosaics, quilting and upholstering, and has a BA in geology. 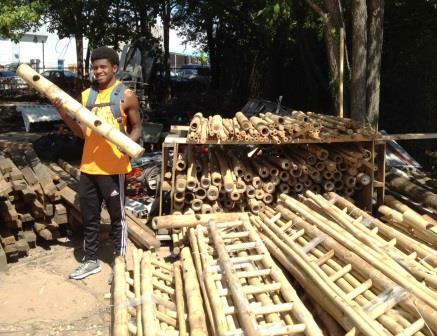 Just arrived: sturdy bamboo poles, from the Folklife Festival! 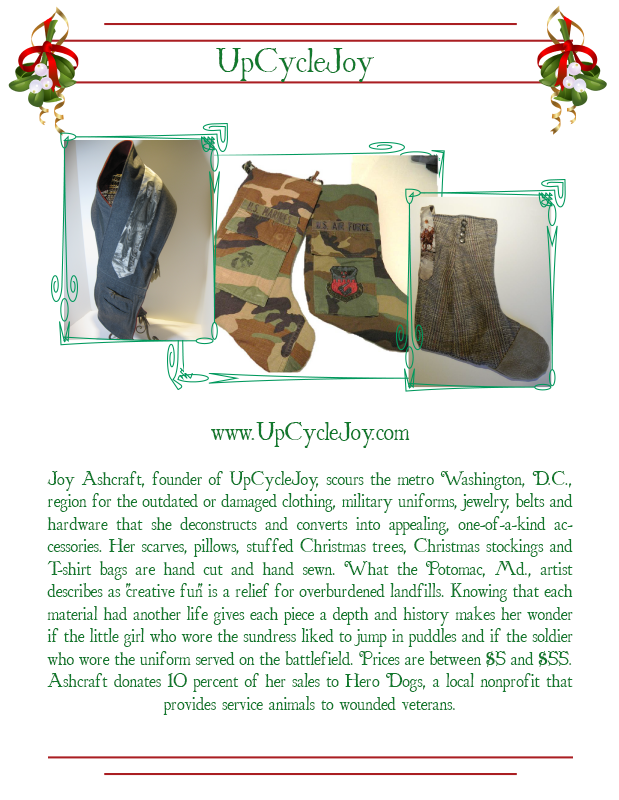 Because we pick up donations around the Washington DC area, we sometimes receive unusual items from government agencies and nonprofits, and really cool pieces of local history. 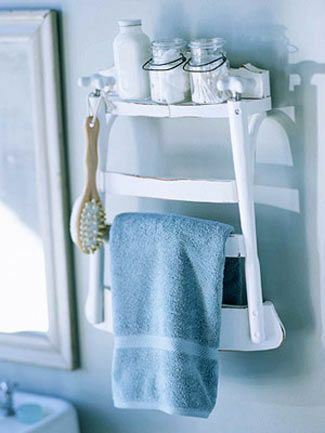 These little ladders would be great for displaying scarfs, jewelry, or other treasures! The Smithsonian’s Folklife Festival is a Washington summertime tradition, so we were thrilled when they offered us the beautiful bamboo poles that were used in building some of this year’s exhibits. What creative things could you do with them? We’ve got skinnier bamboo poles for $0.50 a linear foot. These are a little less than 2 inches in diameter, and they come in 2-, 4-, and 10-foot lengths. We also have thicker bamboo poles for $1 a linear foot. 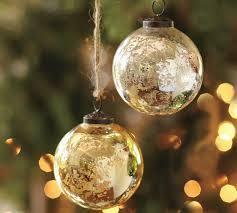 These range from 2 – 4 inches in diameter, and they come in 2-, 3.5-, and 10-foot lengths. There are also some ladders made from the bamboo. These cost $5 a linear foot. Wouldn’t it be cool to have a little piece of the Folklife Festival in your home? They’re going fast, so come in soon for the best selection!